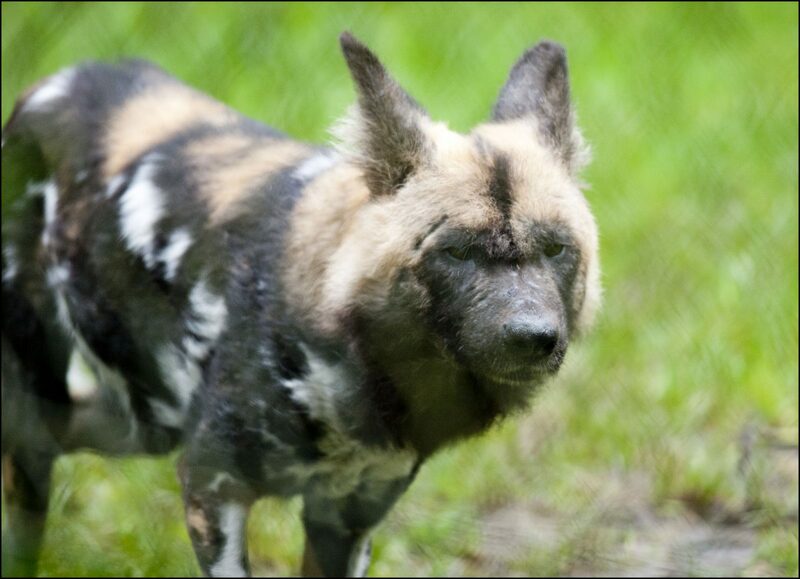 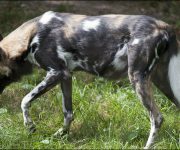 The African hunting dog is also known as the painted dog due to the patterned markings on its coat. 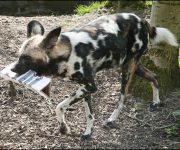 The dogs have big ears which help to keep them cool and also afford acute hearing; a useful asset when hunting. 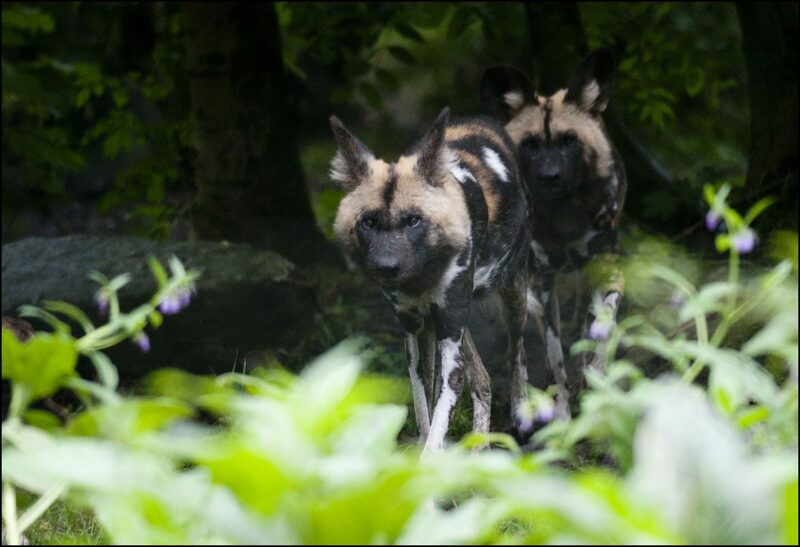 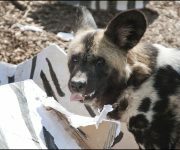 Like all wild dogs are pack animals they live in large social packs of around up to 20 individuals, with a strong hierarchy for males and females. 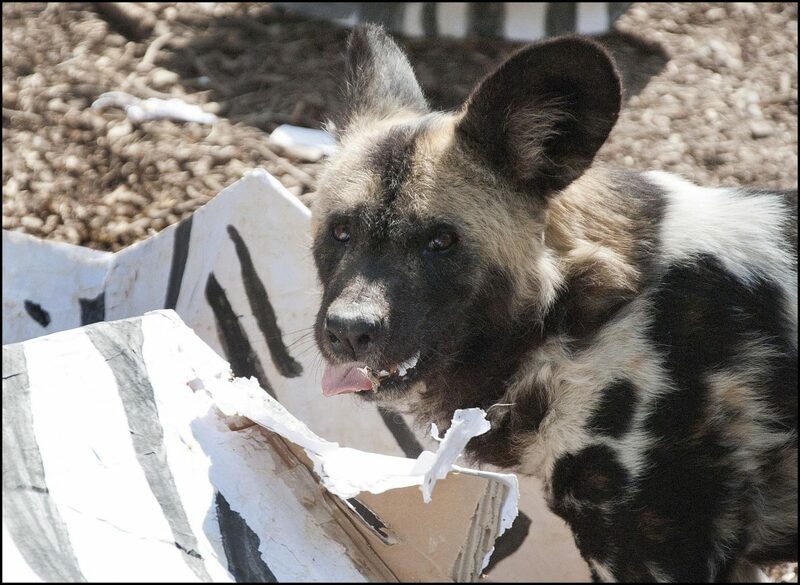 The dogs have a peculiar, rather playful ceremony that bonds them for a common purpose and initiates each hunt. 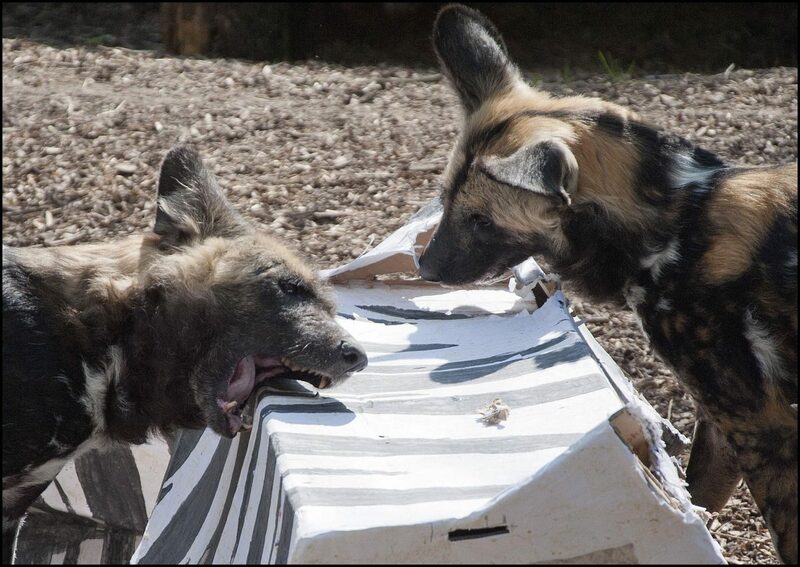 The alpha male and female start circulating among the other pack members, vocalising and touching until they get excited and are ready to hunt. 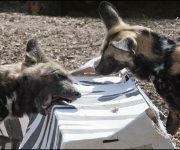 They hunt in an organised, co-operative manner, and when prey is targeted, some of the dogs run close to the animal, while others follow behind, taking over when the leaders tire. 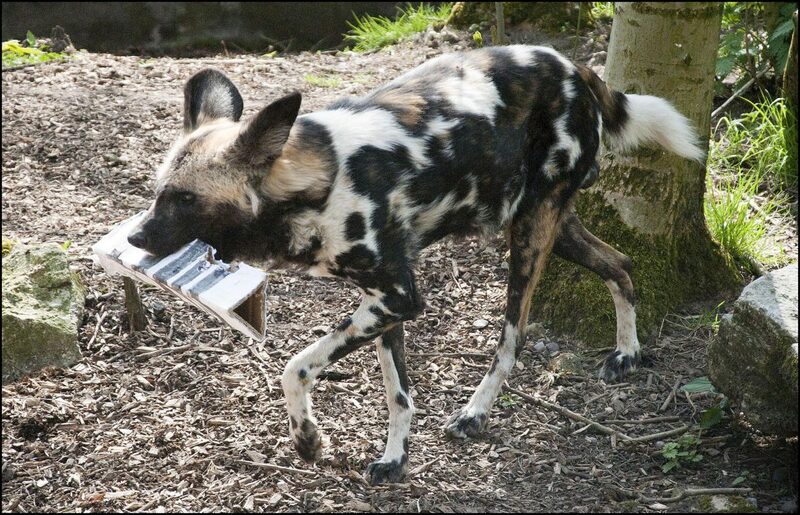 Vocalising consists of a chirping or squeaking sound. 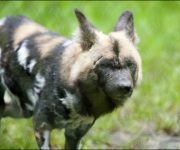 These dogs are very agile and can run at almost 60 kilometres per hour when chasing prey and can maintain this for more than four kilometres. 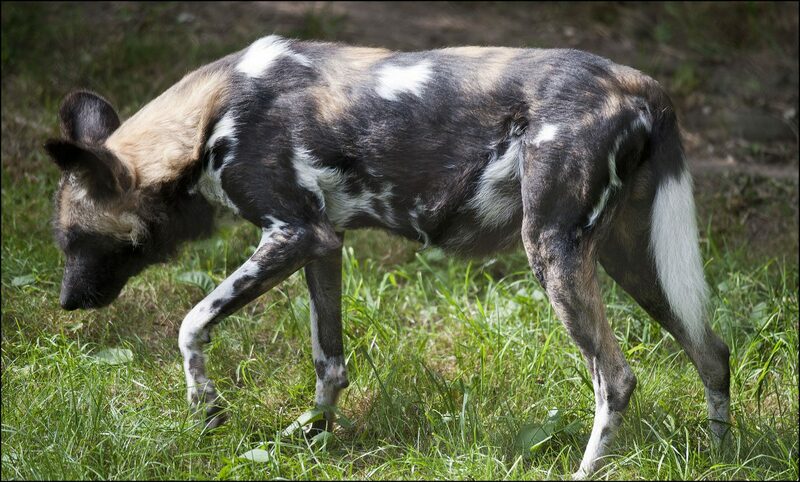 Hunting dogs usually prey on medium-sized herbivores, like impalas and other antelope, but will also hunt larger beasts including zebra, wildebeest, and ostrich. 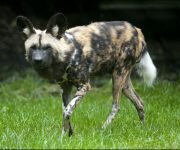 Only the dominant male and female mate to produce offspring, whilethe raising of the pups is undertaken by the entire pack. 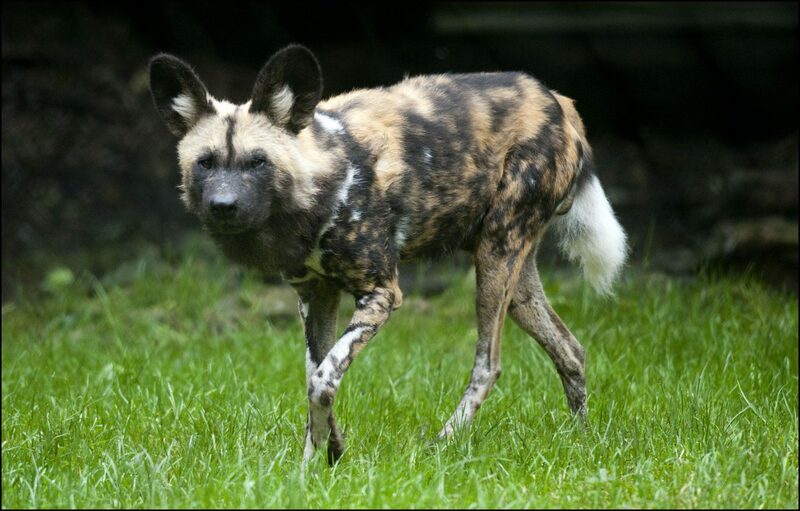 Females gives birth after a gestation period of 69-72 days to a litter of up to 19 pups, although 8-10 is most common. 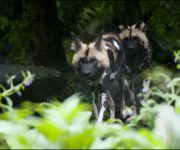 After 14-30 months, the young females will leave their packs to join those with fewer breeding females while males generally do not leave the family pack.